Pakistan has set up a National Council for Promotion of Sufism to project its soft power and improve its image in the West. President Pervez Musharraf is patron-in-chief of the body, said a notification on Thursday. Islamabad, Oct 13 (IANS) — It is chaired by Chaudhary Shujat Hussain, who heads the Pakistan Muslim League (Quaid), the party blessed by Musharraf. Another senior politician, Mushahid Hussain Syed, is a member of the council, the APP news agency reported. The council will project Sufi culture and folklore by organising festivals, national and international conferences, seminar, and workshops. Through these activities the council aims to spread the Sufi message of love, tolerance and universal brotherhood. It will integrate regional diversity with national unity through interaction and collaboration with various scholars and institutions of Islamic and other spiritual traditions both home and abroad, The Nation said in a report. The council will also foster and establish Sufi centres of excellence and patronise research activities on various facets of Sufism. It will confer national and international scholarships for research work on Sufism, recommend annual awards for promotion of Sufism and achievements in the related fields and promote the role of Sufi intellectuals of Pakistan. The council will glorify the revered Sufi saints and their mausoleums not just as centres of holiness but also as centres of learning and teaching. It would also develop its separate website and strengthen the oral Sufi tradition in the form of poetry, music and folklore. Linked to Turkey and Central Asia, the entire South Asia has a strong Sufi tradition. In India it coincided with the Bhakti cult propagated by Hindu saints and social reformers. Sufi singers and artistes are popular, performing in South Asian nations despite political differences and tensions. Musharraf recently said that Pakistan had a serious image problem and do more to project its soft power in the fields of culture, tourism, the arts, etc. 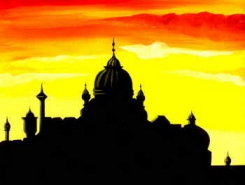 India: are Muslim youth distancing from religion?